Today I went to ShopKo to buy Valentines. Once I got there I thought “why should I pay four dollars for a card I barely even like?” I love Valentine’s Day but I resent the gouging that goes on as we’re pressured to celebrate in a specific way. 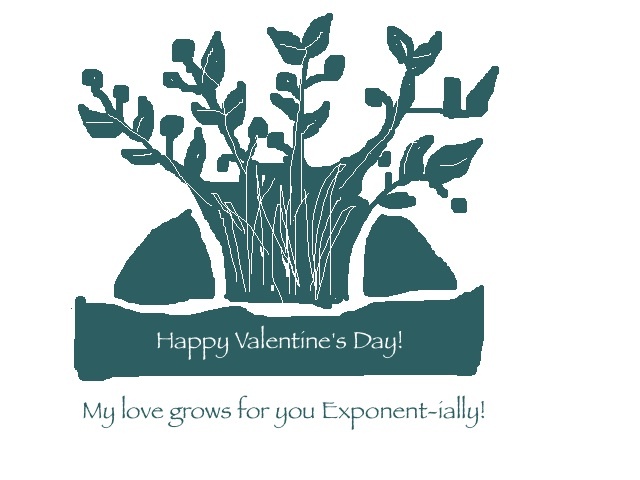 I decided to help out my Exponent sisters by providing you with some Exponent-y Valentines. I’d had this idea for about two weeks but realized that I have neither the programs nor the ability to do some fancy-shmancy photoshop. So this is the product of me, Paintbrush and an evening in my jammies watching the Olympics. You, single? The thought makes reason stare! I elect me to be your lady! Sitting next to you is always heaven to me! My love for you grows Exponent-ially! 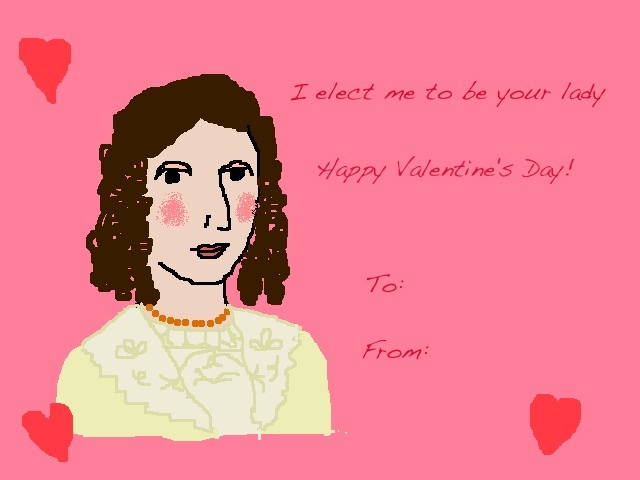 Happy Valentine’s Day to all my sisters! Love ’em! Best Exponent post ever! Thanks! I was so pleased to find that my childhood skills at very basic programs are still useful. Oh! I feel so warm and fuzzy now. Thank you! Brilliant and beautiful! Thank you and happy Valentine’s Day, sister! That is adorable and clever. Thanks for the post! Yay! 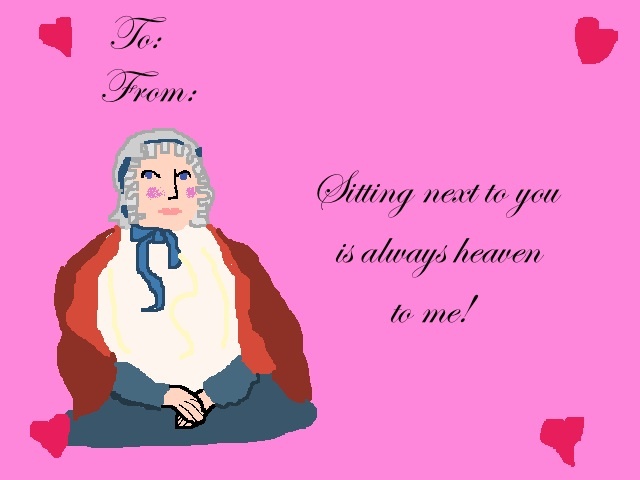 These are REAL Valentines– or at least real to me. I love them, Em. 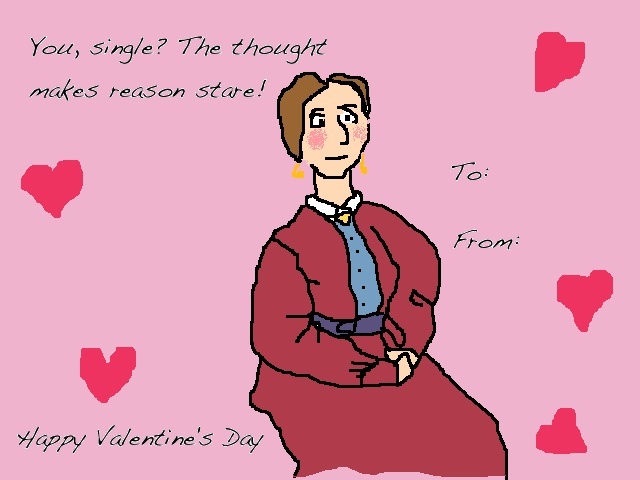 Happy Valentines. Fantastic! I love you all too. Wonderful! Please print and sell boxed sets next year! Ha! My husband actually printed out that last one about Exponent and made a Valentine’s card with it. I was wondering where he got the idea. 🙂 Great job, Em. I love these!!! Em, you’re awesome. Thanks for linking back to these! I don’t know how I missed them when they were first posted last year. I love them! So hilarious!